Powersoft, a world-leading manufacturer of professional power amplifiers, is furthering its commitment to providing cutting-edge training for users of its industry-leading amplification technology with a series of free webinars. New webinars, which are being presented in conjunction with ProAudio-Central.com, provide audio professionals with opportunities to learn best practices from experts in the field and get the most out of their Powersoft gear. The webinar series will kick off in November with sessions hosted by Steven Kemland of FACE and Dave Rat of Rat Sound. “We are always looking for opportunities to provide our users with information and insights that can help them take full advantage of the incredible capabilities of our products,” says Francesco Fanicchi, Powersoft’s brand and communication director. “Many of the worlds top audio gurus utilise Powersoft amplifiers because of their technical superiority, so it is our pleasure to harness their expertise for these webinars.” In addition webinar will help industry players solve common issues either in fixed and live applications. Each webinar includes a fully produced video with the host explaining their use of the technology followed by a live Q+A session where the hosts will answer attendees’ questions. Webinars will be recorded and attendees can receive all materials after. 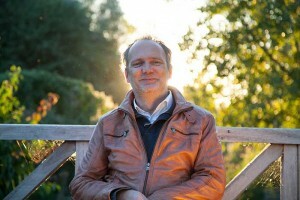 Kemland, an industry veteran specialising in theme parks, theaters, and corporate venues, will examine Belgium-based FACE’s recent Plopsaqua Park installation project. Joined by the water park’s technical director, Kemland will highlight the challenges presented by the site’s complex layout and how he and his team were able to improve upon the limitations of its previous sound system with a new Powersoft-driven installation. He also discuss power saving techniques with Powersoft amplifiers, the benefits of across-the-board access to Powersoft’s powerful Armonía DSP platform, and possible future integration of the operator view and remote operator view within Armoniá. 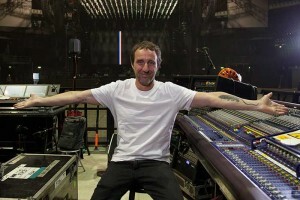 Dave Rat of Rat Sound has built a reputation as one of the top live sound gurus in the world, working with artists including Nirvana, Rage Against the Machine, and Blink 182. In his webinar, Rat will discuss his work on the 2016 Red Hot Chili Peppers world tour and how he was able to maximise the potential of his Powersoft amplifiers to deliver a big sound to massive crowds for one of the worlds biggest rock bands. Rat will also discuss his Rat Sound Superwedge, a powerful and versatile new monitor wedge used on the tour and specifically designed by Rat to provide unparalleled monitor flexibility by taking advantage of the capabilities of the Powersoft X4 amplifier. In picture: Steven Kemland and Dave Rat.